Reader Spaces are back baby, and they are back with a bang! I met the beautiful Mallory during a work event last year, and I was completely taken away by both her sweetness and style. She loves color (whoop!) and fashion and home and life, and shares it all on her blog Style Your Senses. Mallory has a way with creating lovely layered spaces that are completely my cup of tea (she does a wonderful job mixing in blues and pinks). 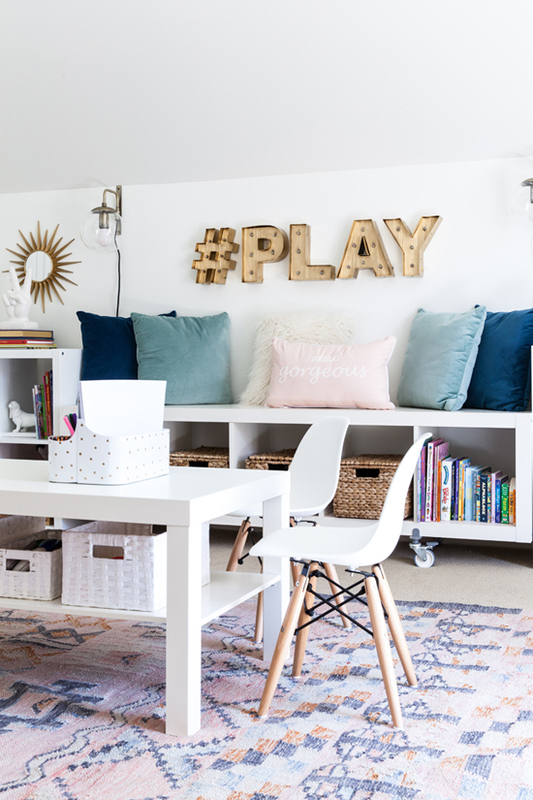 And when she recently revealed a space she worked on for her and her daughter, I also fell in love with her storage and ability to create a cohesive and playful space for two. Not to mention it was a great opportunity to take in a pink room, because we all know it is my absolute favorite color! 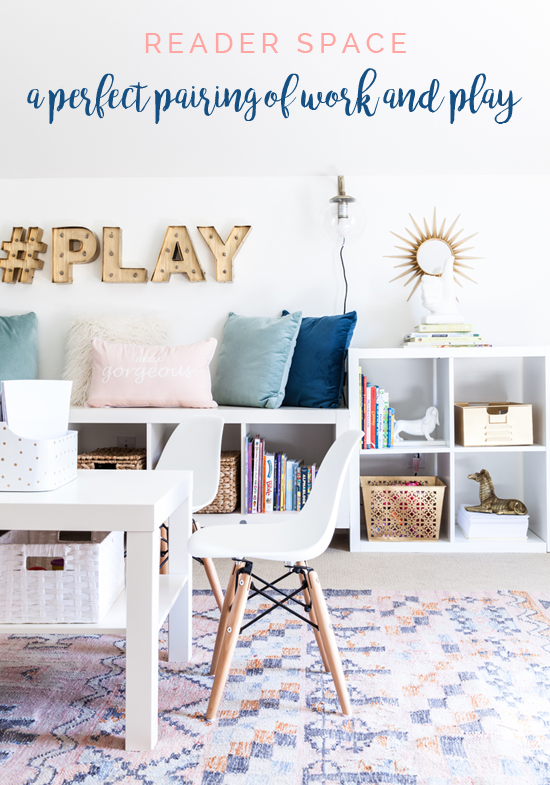 Whether you are looking to create a workspace, a play space, or both, there are plenty of inspirational ideas to go around! "The space is such a huge footprint in our house, so it really has to serve multiple functions as a playroom for our daughter and an office for me. Overall, we wanted it to be a cohesive, fun and creative space where we could happily co-exist." "I'm actually relying on my 3 year old for most of that! Aside from really taking control of my craft closet, the daily tasks of organization really have to do with her toys. Instead of throwing everything into large storage baskets, I came up with smaller storage solutions to sort toys by type and have turned it into a game for her. She quickly learned where everything goes not only does it make clean-up super easy and fast, but I'm also finding that she's playing with everything more because she knows where to find it all. The biggest thing that I learned from the first time that we tried to make this space functional was that there HAD to be tons of storage involved this go round. I decided to make nearly the entire length of the room’s far right wall into storage. I took a whole day at IKEA and really mapped out what I needed. We already had the center unit on casters and decided to leave it that way and let it serve as a little reading bench. The 4 cubby units flanking the bench are also KALLAX in high gloss white from IKEA." "The IKEA Kallax shelving I mentioned above. Making the entire left wall into storage using various shelving shapes really gave us an organization frame work and set us up for success. To give it depth and interest, I used various groups of baskets, small groups of books, playful objects and even pillows to make t not only functional but also pretty. In the closet I started out by ripping out the original closet hardware and installing two stacked shelves, which I knew would hold shoe box storage containers with craft knick knacks sorted by type. 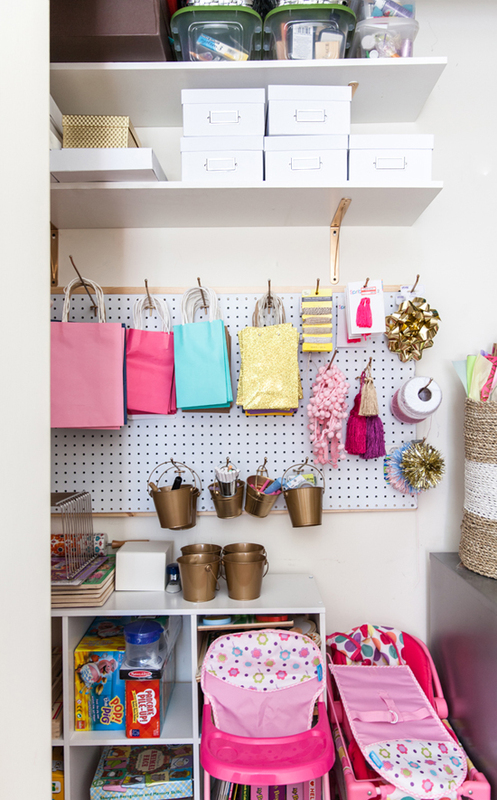 I also had the hubby install a simple peg board and I’ve used inexpensive pegs to hang and display wrapping necessities, gift bags, etc, because before they were so hidden that I would just continue to buy more as I never seemed to be able to find them when I needed them. I then bought another set of cubby shelves to store Landry’s puzzles, games and busy books. 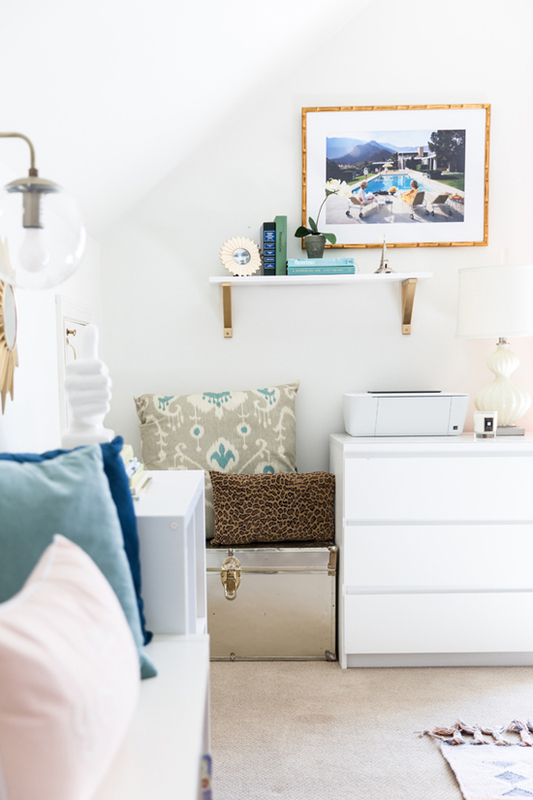 Since these are chunky and take up a lot of space, hiding them in the closet was the most aesthetically pleasing option and this cubby worked out perfectly. We also store all of her baby doll furniture in here as well for the same reason. 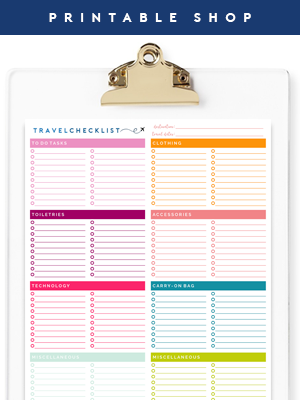 The biggest game changer has definitely been the over the door organizer. It’s freed up so much space within the closet and I love that I can see everything arranged vertically and access it very easily. I was leery about spending over $100 on it, but I will tell you that it’s hands down the best money I’ve spent in months. 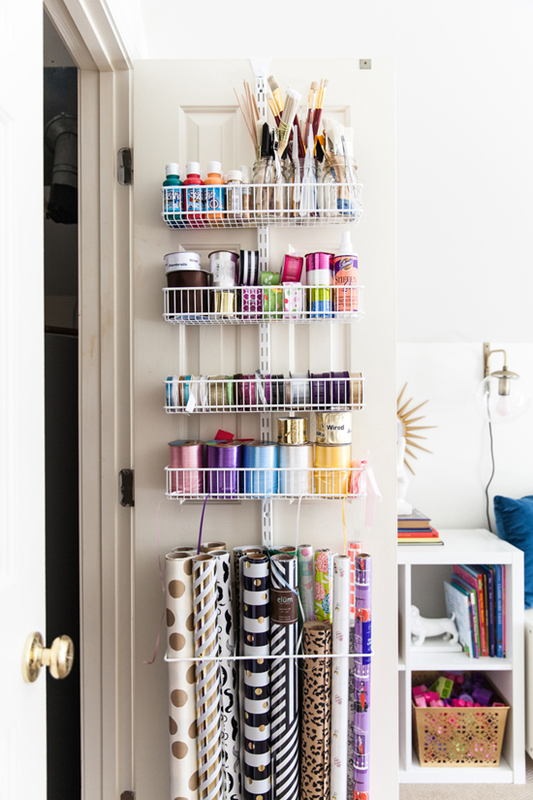 I’m already dreaming up a massive pantry makeover with this bad boy! 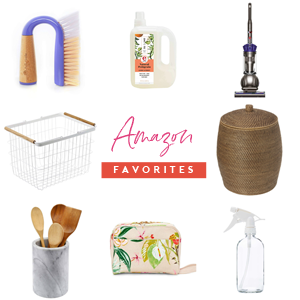 If you don’t have at least one of these in your home, trust me on this one! Now, here’s a look at the other side of the 'office' where there is storage and necessities like the printer. The chest is also from IKEA and is the MALM in white. 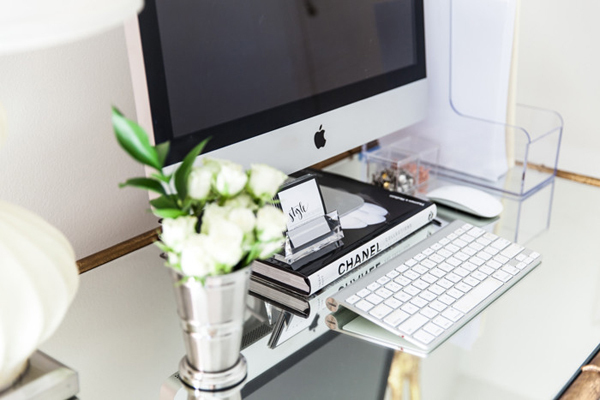 I purchased a glass top for it since the printer sits on top of it." I really splurged on design elements in my office space. 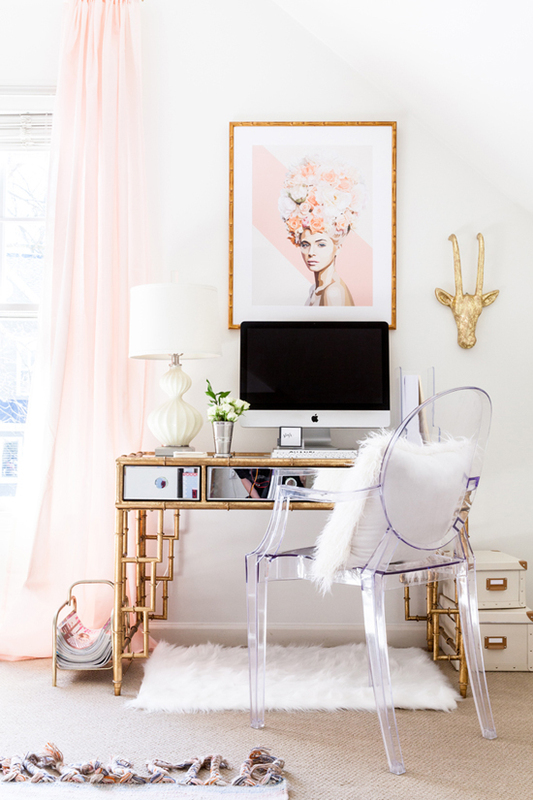 Just because it's a shared space, didn't mean my office couldn't feel sophisticated and glam. The mirrored bamboo desk was definitely the spring board for the design and everything else fell into place. 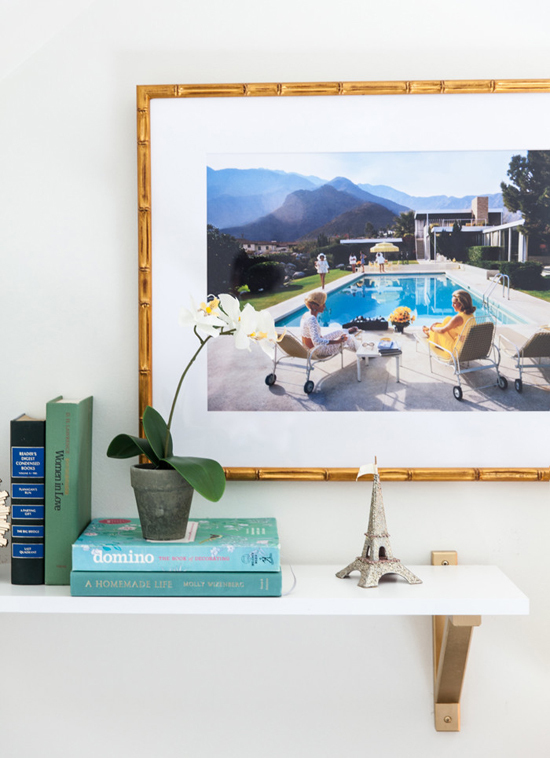 I also got some of my favorite art prints framed in gorgeous gold bamboo, which makes the small space feel custom." "I was set on the marquee letter focal point in the playroom. 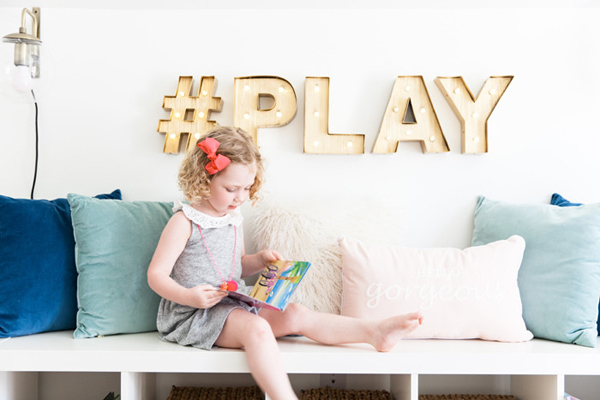 When I began researching marquee letters, I found that most of the battery operated options were well over $30 each (which meant at least $150 to spell out #PLAY) and that was simply out of the budget that I had in mind. I ended up finding these letters on clearance for $6 each and spray painting them (meticulously covering each bulb) gold to achieve the look that I wanted. It turned out to be such a great focal and gives the room a big bang for the buck... plus Landry thinks it really cool!" How has the space impacted your life for the better? "It's been amazing for us! 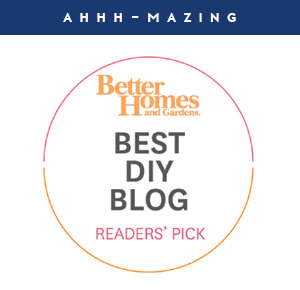 It's a space where we can play, work, interact and be creative in together and has really made working from home (while still being a stay at home mom) so much easier for me." So what do you think? 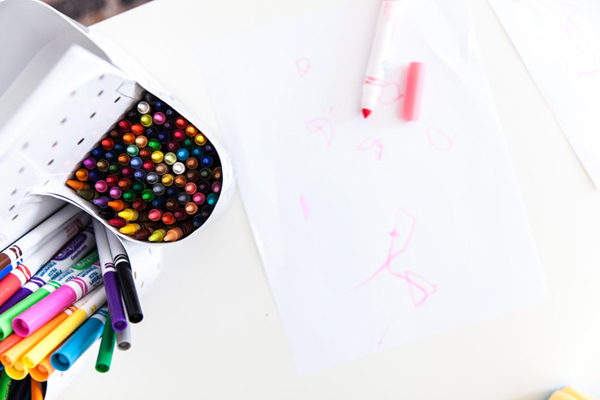 With so many parents working from home these days, do you think you could share a space with your little? Or do you need solitude and separation (that's me). I think it is a great compromise to get things done while allowing kids to entertain themselves and their pals (and keep a close eye on younger ones), as long as some sound canceling headphones are involved. In fact, after a reader suggested I try out the headphones, it has been ridiculously helpful in keeping me focused, so thank you! The room has a lot of great zones setup to ensure it can serve a variety of purposes. There is a place to work, to play, to read, to sit, to twirl, to create with arts and crafts, to store toys and to tuck away craft/gift wrap clutter. Aside from the color palette, what I love most is the mix of high and low as well as a balance of form and function. Mallory did such a great job sourcing a few key expensive pieces, and then utilizing thrift store and IKEA finds to take care of the rest. 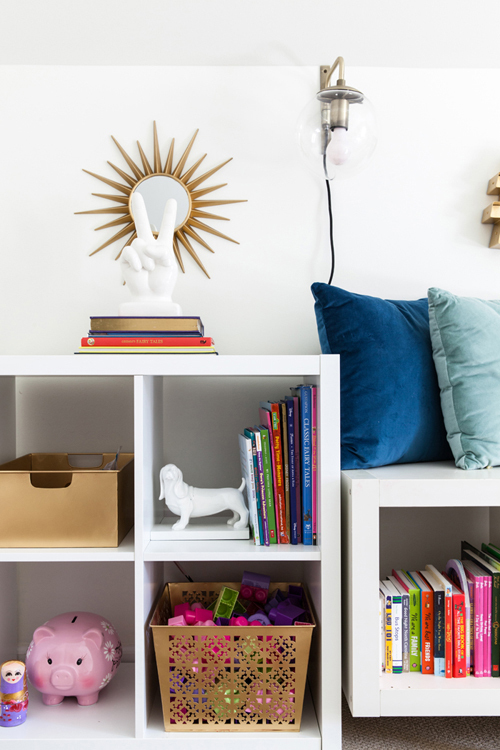 She created such a striking balance in a space used by both a young child and an adult. 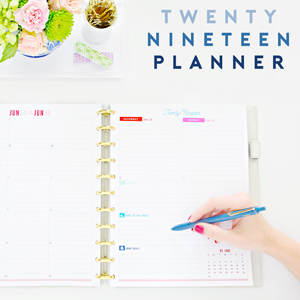 You can check out her planning process and before photos here, and catch the full reveal (including product sources) on her blog here. * All images taken by Laura Sumrak and provided courtesy of Style Your Senses. ATTENTION!! Want to be featured in a Reader Space edition? I would love to have you! I am on the hunt for projects that have made a positive impact to your life; big or small. 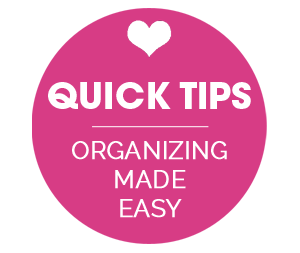 They can be anything from an organized drawer, a DIY project or an entire room. Please submit your story and photos to iheartreaderspace@gmail.com, and I would heart to feature them right here on the blog! Photos should be high resolution and taken in natural day-light if possible (blog not necessary to participate). Please include a brief description of the project and how it has changed your life or routine for the better, and I will follow up for additional details prior to featuring. Oh! and no worries my friends, we will NEVER judge "before" pictures because that just wouldn't be nice! Only love goes on at this blog! I can't wait to hear from you and continue to celebrate all of those organizing successes! This space is so fun and colorful! It makes me so happy! Sooooo gorgeous! I'm jealous of the entire space! Great read! Love, the decor. It's the perfect mix of fun and functional! I love the light feeling and colours in this space!